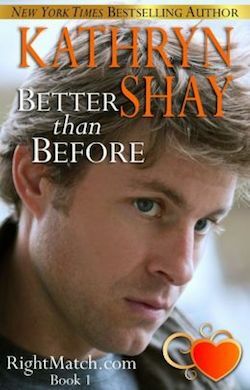 In BETTER THAN BEFORE, charismatic and super rich venture capitalist Spence Wickham makes a bet with his brother to join an online dating service and prove people lie on these sites. But his deceit trips him up with sweet and generous Annie Hopkins who’s looking for the type of man he’s pretending to be. When the truth comes out, Spence must find a way to make Annie love him for the man he is.